There are seven teams in the NFL that have gone more than two decades without winning a divisional playoff game. Twenty-four NFL franchises have played in a conference championship game in the past sixteen years, one win away from appearing in a Super Bowl; seven have not. These seven are in droughts that range from 23-years all the way to 30-years and counting. These seven are mired in more than two decades of mediocrity and irrelevance. These are the worst teams in the NFL. They are incompetent in the front office. They have no real strategy or long-range plans. They act by whim and “gut.” They keep average-caliber players too long and sign over-hyped free agents too fast. They get out-picked in the draft and out-coached on the field. These seven teams are the only seven teams that haven’t won a divisional playoff game in more than two decades. They have not appeared in a conference championship game in more than 20-years. They don’t demonstrate that they have any idea how to get to a Super Bowl. These seven NFL teams are universally recognized as terrible messes. Laughingstocks. Pitiful. Sorry. Three other teams are in 16-year droughts. You could add them to the list of sorry NFL franchises that have no clue how to win a championship — Tampa Bay, the Raiders, and the Titans — but does that make you feel any better? These are the sorry teams, the ones nobody takes seriously. 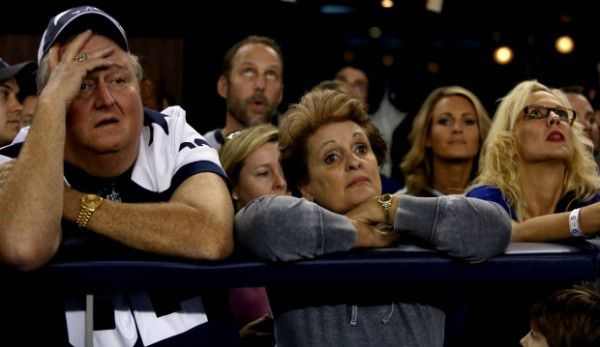 The Cowboys are not in the same class as the 49ers, Bears, Cardinals, or Eagles. They’re not in the same category as the Chargers, Ravens, or even the Jets! They’re with the Bengals, Browns, and Lions. They belong with the Redskins, Dolphins, and Bills. 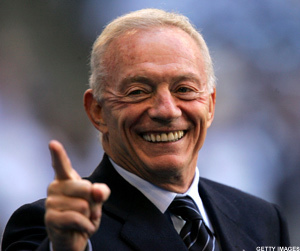 Jerry Wayne has apparently written Jason Garrett into his family will; in a few days he’ll get a multi-year extension. Jerry will “Romo” Dak Prescott and start him at quarterback for eleven more years. The coaching staff is expected to remain fully intact; nobody’s getting fired or moved. They keep telling us it was a successful season. They keep telling us they see a lot of positives to build on. They keep telling us the team plays hard and never quits. Well, if you’re in the same class as the Bengals and Browns, I guess that’s OK.